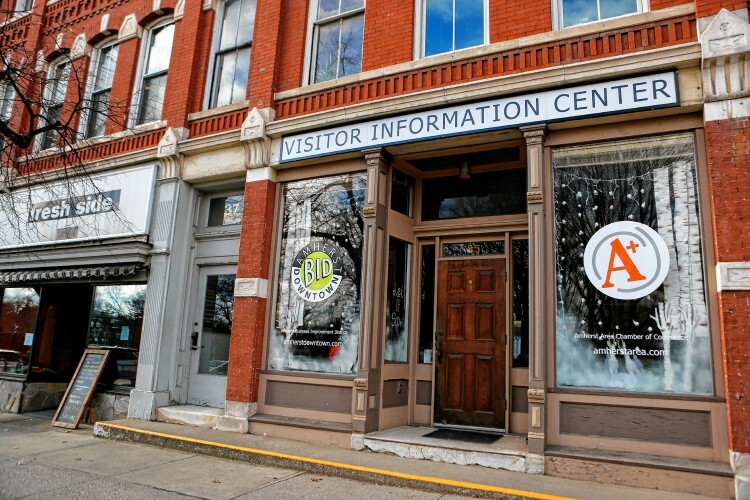 The Chamber shares space with the Amherst Business Improvement District (BID) at the Visitor Information Center in the heart of downtown Amherst, across the Common from Town Hall, around the corner from Amherst Cinema, and a few doors up from A. J. Hastings. Whether you are new to the area or a long-time resident, we can help you learn more about activities and events in the Amherst area. For facts, fliers, and a friendly face, swing by the Visitor Information Center!